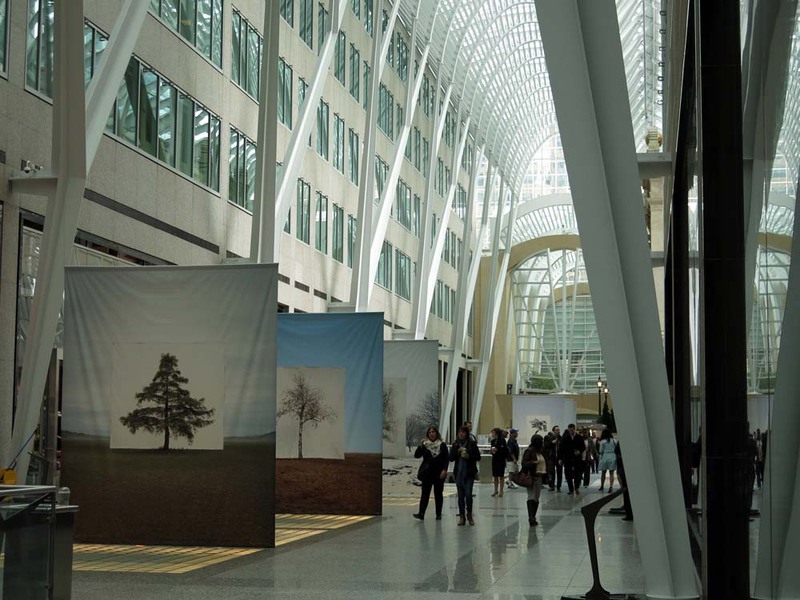 Toronto's love affair with pictures is celebrated with an annual month long exhibition of Canadian and international photographers during CONTACT. Founded in 1997, the not-for-profit organization event takes place from May 1st to the 31st in over 175 GTA venues. "As a leading proponent of photography, the Festival increases exposure and recognition for local, Canadian and international artists and is committed to advancing knowledge, creativity and innovation in photography. It stimulates excitement and discussion among a diverse audience that has grown to over 1.8 million. CONTACT is the largest photography event in the world, and a premiere cultural event in Canada." Comprised of Primary Exhibitions, Public Installations, Featured Exhibitions and Open Exhibitions, many of the works are in high profile public sites, while some are in established galleries and cultural centres. The Open works allow community members to display their works in parallel with professional exhibitions within galleries, community centres, other institutions and even restaurants and retail stores. 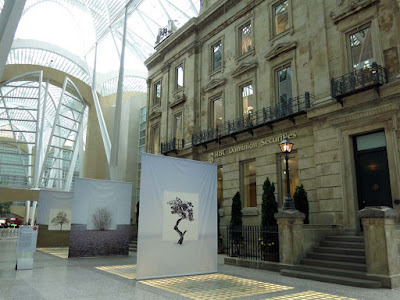 Myoung Ho Lee's works are showing at Brookfield Place "the photographs transform the common tree into a highly theatrical and mysterious entity. Since 2004, the Seoul-based Korean artist has photographed solitary trees by framing them against massive white canvas backdrops in the middle of their natural environments. 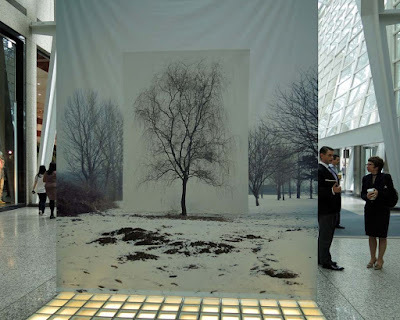 Working with a production crew and heavy cranes to install a canvas, up to 60-by-45-feet in size based on each work, its support system is later digitally removed from the photograph, creating the illusion of a floating backdrop. Isolated from the environment, the tree’s contour, colour, and texture is heightened; every detail is cast in sharp relief against the enormous cloth. 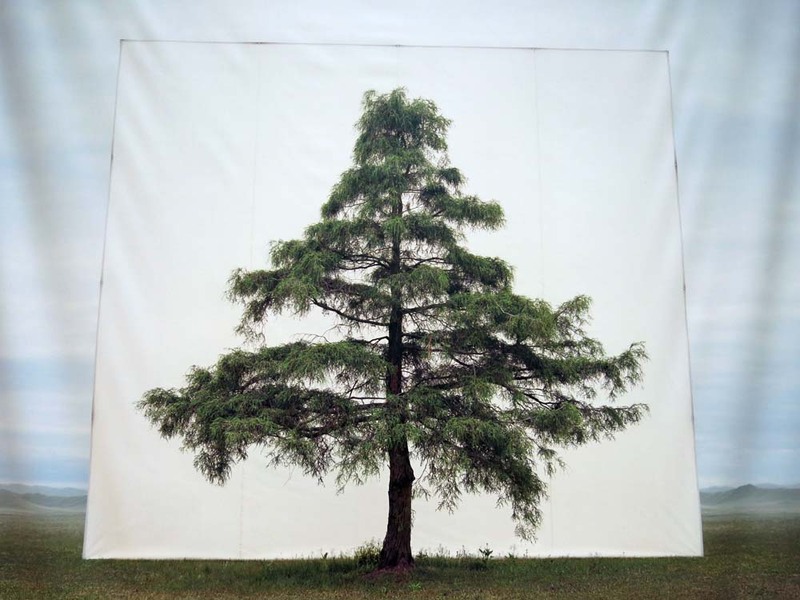 The illusory tension between the subject and its surroundings fluctuates—at one moment the tree’s sculptural qualities make it seem hyperreal, and at another the image appears to flatten into two dimensions."